–>> Finally !! 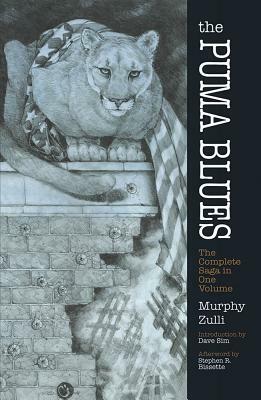 PART 3 of THREE !! 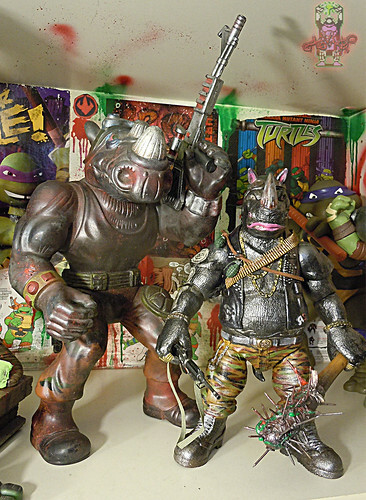 Darker, metallic paints & washes enhanced ROCKSTEADY’S model. 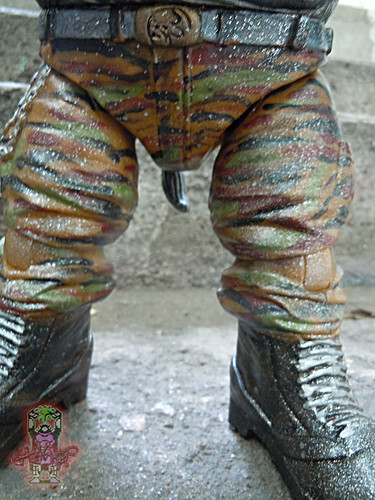 Extra camo apps on pants. Club more “studded” with real nails. 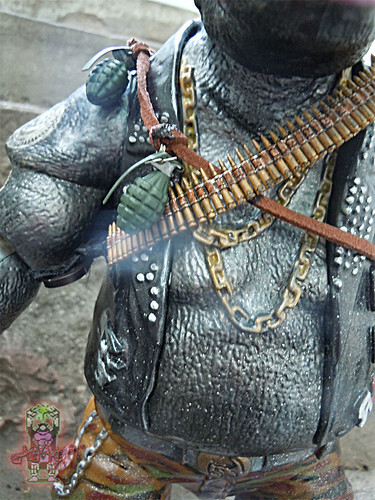 Ammo Belt & GRENADE chord added over torso to emulate the classic cartoon appearance, CAR15 Assault Rifle added to Rocky’s arsenal. Did the best i could to make this famous Retail Rhino Rabble-rouser REALLY nasty !! 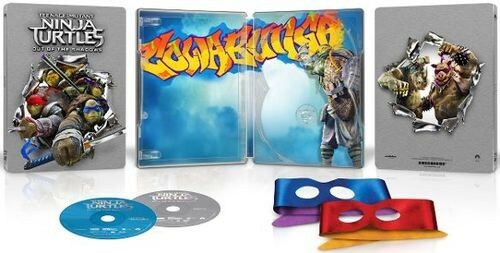 BEST BUY’S EXCLUSIVE STEEL BOOK . 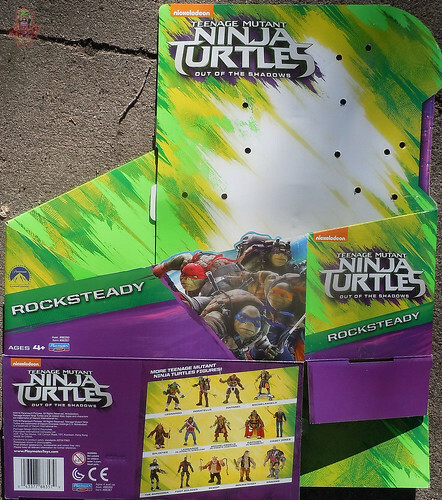 WALMART’S COMBO PACK gift set with this past summer’s 6 Mystery mini-figures all packed in. TARGET’S SHELL CASE Packaging with Bonus Disc ( this is the set Tokka purchased for the extra content on the bonus disc that seems to be only on this particular set ) .. 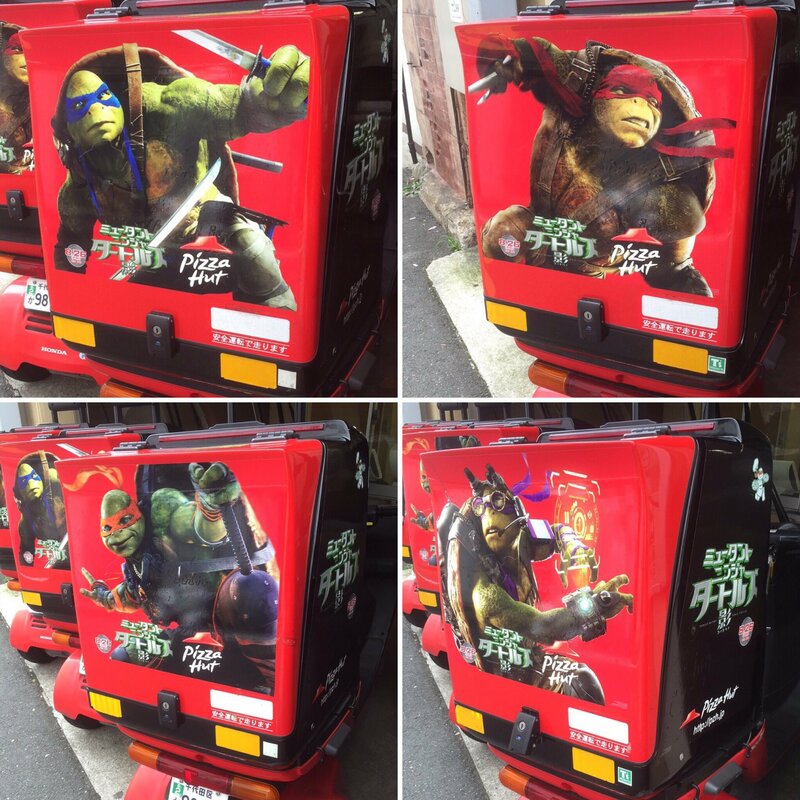 Check out these cool graphics on the PIZZA HUT Delivery scooters recently delivering the Teens’ favourite pie in Japan !! 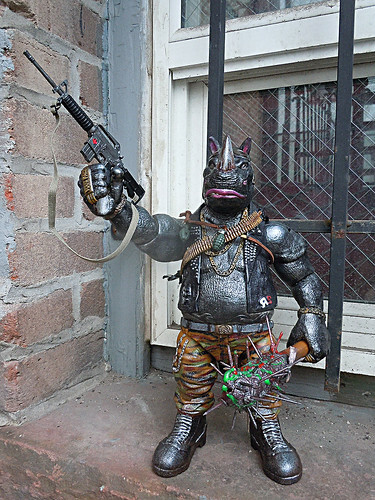 Cinema Frontline JAPAN:: Translated – Jared-Krichevsky’s beautiful and crazy concept art for the Film’s Splinter, Casey, Shredder and the insane creative renderings that became the most crazy thing in ANY TMNT movie – KRANG !! 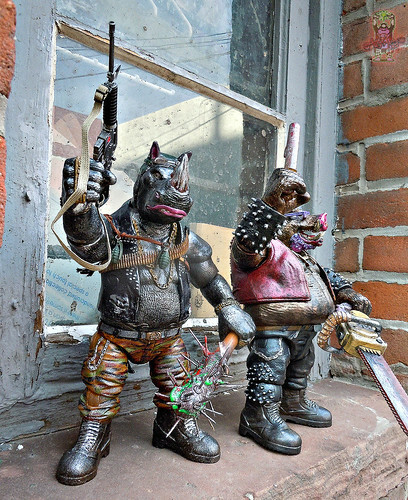 TMNT: THE BLOODBROTHERS INDIEGOGO Campaign IS A GOGO !! 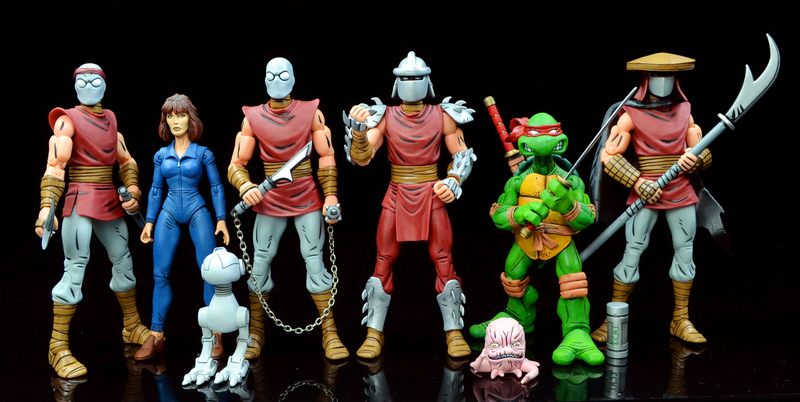 Back to toys and more fun ..
• The Fwoosh, funky evil photo set of Next Month’s NYCC ** NECA: Teenage Mutant Ninja Turtles Eastman & Laird Foot Clan set !! 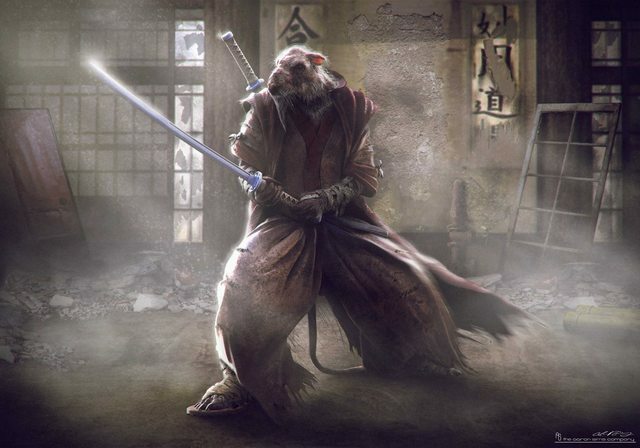 Comic Book Movie :: USAGI YOJIMBO confirmed for the Nick TMNT show. 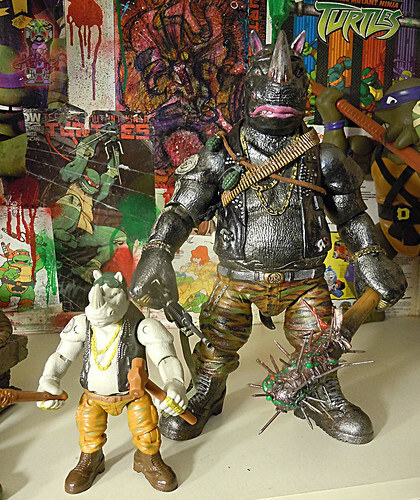 KID ROBOT KILLED IT via Toy Ark; NEW TMNT x KR VINYL on the way !! 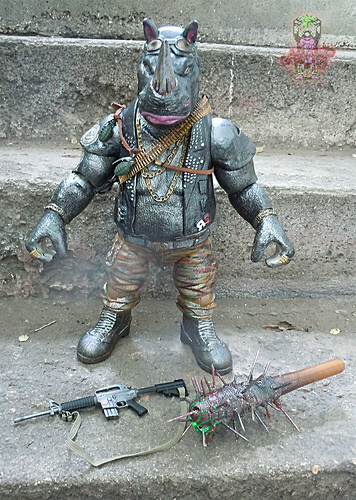 DIGGER T.MESCH’S mighty “MINI-MATES” will dawn the guises of the green teens as well as several other products from Diamond Select ( bust coin-banks, bottle openers, pizza cutters, ect ). 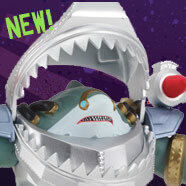 **Tokka predicts these JAPAN EXCLUSIVE capsule toys to be REALLY HOT, well it’s obvious if the pre-order on BBTS has already completely sold-out. At least the pre-order page give you a look at price ranges for North America. 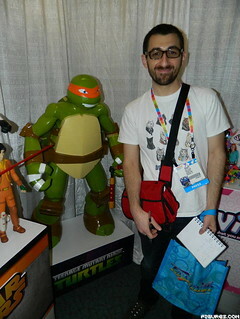 Pixel Dan previews Playmates Vehicle offerings & the HALF-SHELL Heroes Line for the little ninjas !! 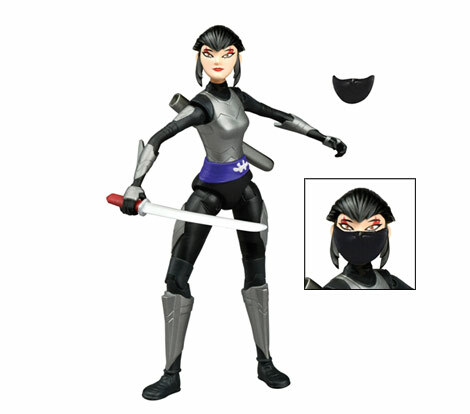 There was just so much more going on with companies like SAKAR & Funko as well; updated info will be provided as it becomes available thru’ reliable and familiar sources. 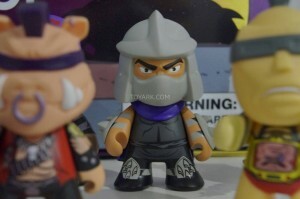 Earlier in the week, Tokka was kindly asked to remove a link to unauthorized Paramount TMNT Movie product photos from Toy Fair. A polite conversation came up about the ramifications of the leaked info, and leaks in general. 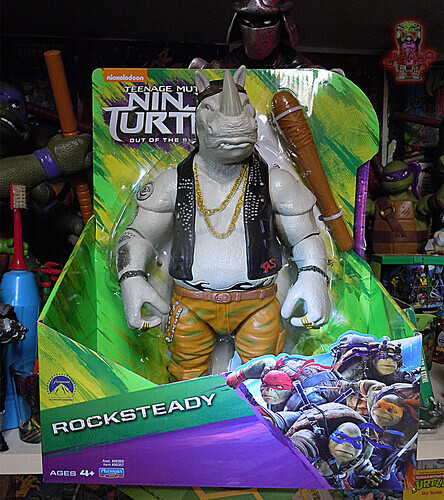 Security was pretty tight at TMNT movie section of PLAYMATES’S showroom and ZERO photos were to be taken in ANY capacity of the product. But again, someone did go rouge and snapped some pix anyway. that further set the Web on fire. In some instances.. it is way to late. And even before the interwebs .. the “NEED TO KNOW” by fans, gossip columnists, Hollywood journalists or have you — that was out there trying to get access to insider info & sneak peeks of the latest projects on peoples’ favourite films and projects. The ‘Net just increases tenfold. And while every other Angry NERD video blogger, toy reviewer,forum member, or Geeky website guy wants to be the first with the latest images from the set of the Film, or to give fans access to images we just aren’t supposed to see til’ later – – like it or not.. :: there’s a dark side to all of this. 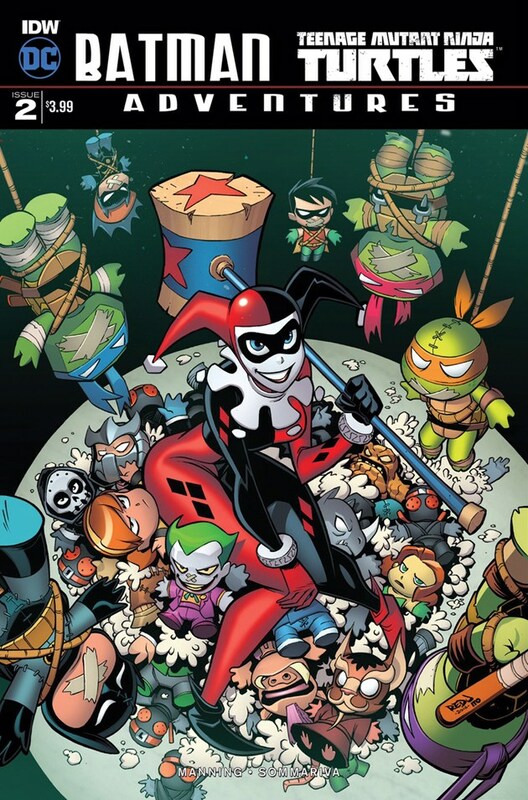 Keeping control of “LEAKED” info is gonna speculative at best when a big company rolls out a big production if be TMNT movies or any other big production say like Star Wars or Transformers. Whatever; the companies do their best to keep an eye on what the public can see early on and what they don’t want the public to see. 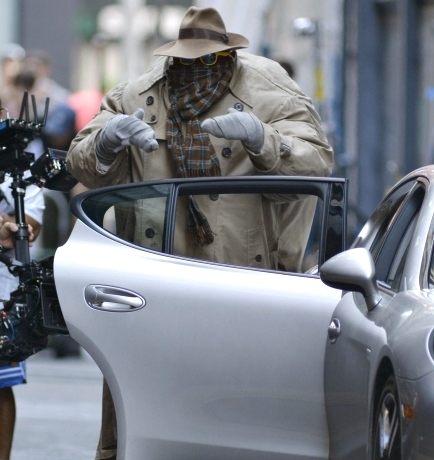 With controversial choices in producers and directors, miscommunication on story elements ( remember the “TURTLES ARE ALIENS” bit ?? ), unspecified but opinionated verbal descriptions of the movie designs – – fans’ curiosities have been on edge for quite awhile now. 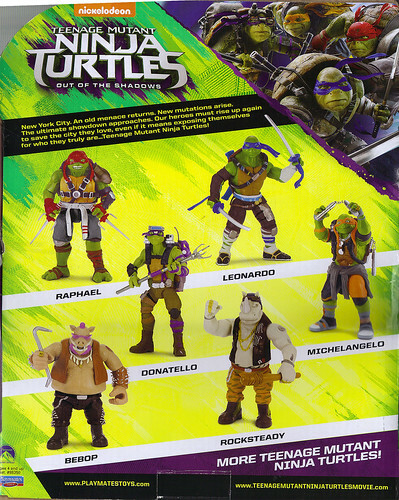 Noone can totally blame the passionate TMNT fanbase that genuinely cares about the property that so influenced their childhoods and continues to inspire new generations as well as the “ORIGINALS” exposed to the Turtles who are now grown-ups. But what it boils down to is the backlash on the little guys ; I.E. the companies producing the licensed products tied to the film like PLAYMATES’s workers and the like. And in the end it stalls the release of said products and actually THE FILM ITSELF. People just trying to do their job are getting the brunt of the heat from PARAMOUNT when images of product are put online. 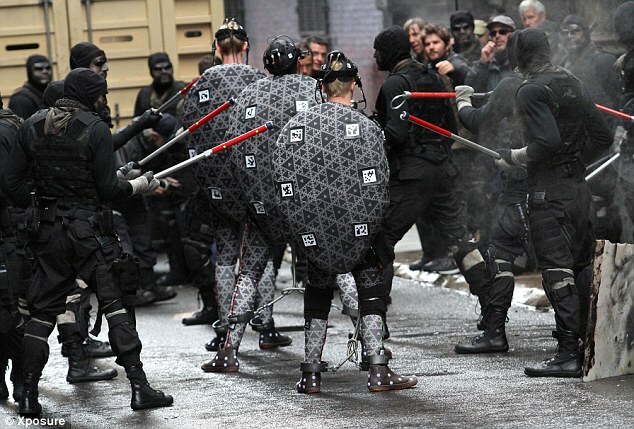 and ultimately all the image leaks can and WILL cost people their jobs and will lead the production company to clamp down and trust the fanbase LESS in the future as time goes on. This will create more tension between the studios and fans and just will not bode well at all for anyone with each and every big budget project as the studio just won’t trust people to not share things they aren’t supposed to. They’ll clamp down more and more for the sake of damage control. While i’m on the soapbox, for full disclosure within’ the nature of the argument; this very website did publish SOME of the same set and children’s costume images in “LEAKED” released a number of weeks back – so i don’t think that makes us any better or less guilty than anyone else. The damage Paramount didn’t want to happen has been done. If you CAN call it that; i don’t know fully. Some people are very opinionated about the designs so far and are pretty negative in some cases. But just as many are applauding the designs and are very excited about the release of the new film. I don’t have the answers to the conundrum of this day and age when what’s ethical, moral, the freedom of speech, the need to know, the fandoms and the internet create negative ripple effects on those behind the scenes and ultimately those effects on the fans in general. 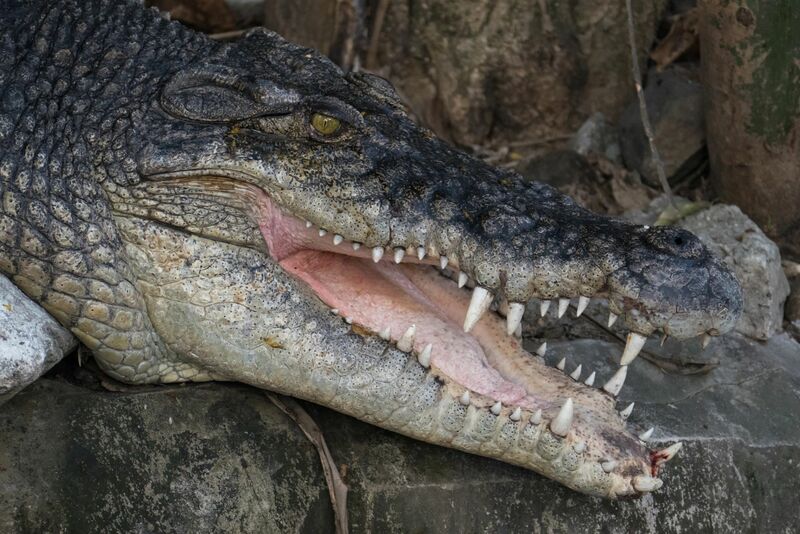 But as stated; like it or not – there are major ramifications of “breaking the rules”; yes TOKKA IS FINE TO TALK .. i admit that. It’s a tough balance all of this. 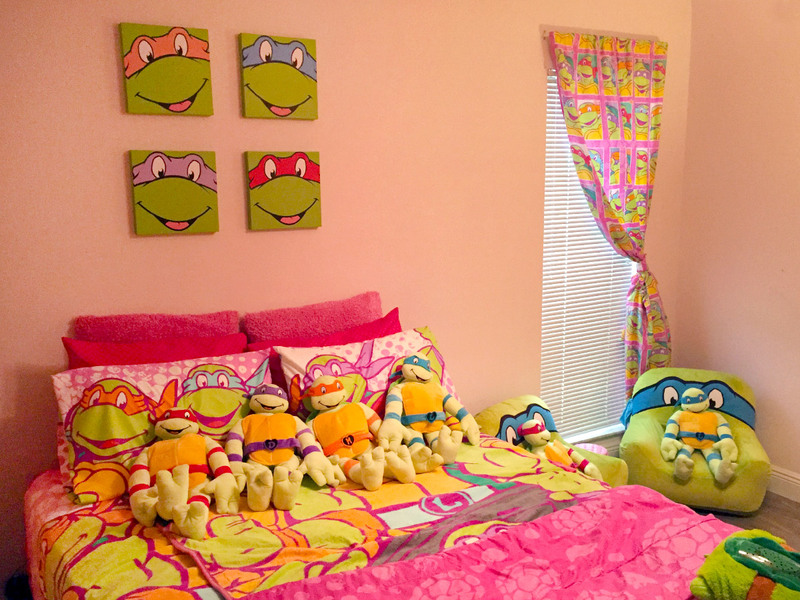 Leaking info in regards to a big film like the TMNT reboot can have some real-life damage once the fandom gets its hands on the things too early. Maybe there’s some lessons to be learned here, maybe the production company can share select information on a more controlled and progressive manner instead of being very secretive and seemingly alienating fans. I just don’t know. I do think ALL OF THIS is something to think about on all ends especially if it’s going to cause real harm such as costing someone their job. A very difficult topic, but it’s one that’s rarely discussed it seems as freedom of speech & protecting a franchise’s important aspects and assets conflict. That really does need to change. But ” how ” is the main question.